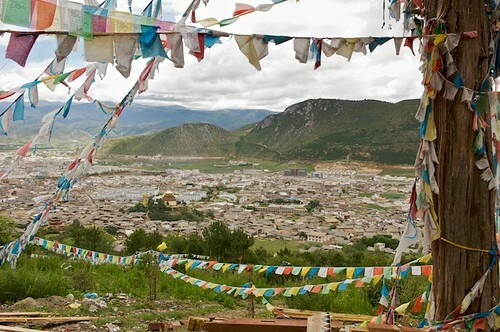 As in most Tibetan areas, the hill sides around Zhongdian are covered with prayer flags. 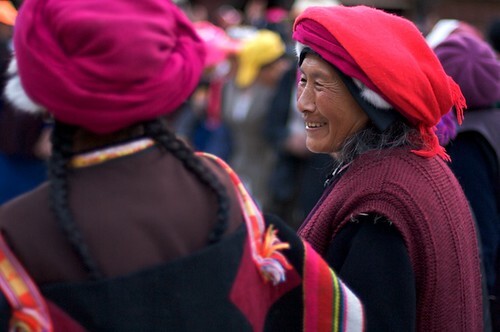 The local Tibetan women still dress in the traditional clothing customary to their tribes. Work continues on Zhongdian, much as it has for hundreds of years. Unfortunately, when I visited two years later, the once quiet entrance to the old-town was blocked by tour bus after tour bus. The wonderful atmosphere that I felt on the first visit was replaced by Chinese tour guides with megaphones and rude foreigners who seemed to be upset that they weren’t the only westerners there. The locals stayed friendly, but you needed to get out of the touristy old city and visit the surrounding countryside to really feel that Tibetan atmosphere. The traditional old town has actually only been there for a few years. A short walk (or short bus ride) from Zhongdian is Ganden Sumtseling Monastery. It’s a large monastery that houses about 700 monks. Both times I visited, the entire area was a construction site. Honestly, if you’re going to venture farther into Tibet, you could give this monastery (and it very high admission price) a skip… There are more authentic ones with nicer monks in other towns. This one just felt to me to be built for the tourists. That said, it is beautiful and if this is the closest you’re getting to Lhasa, you should definitely have a look. 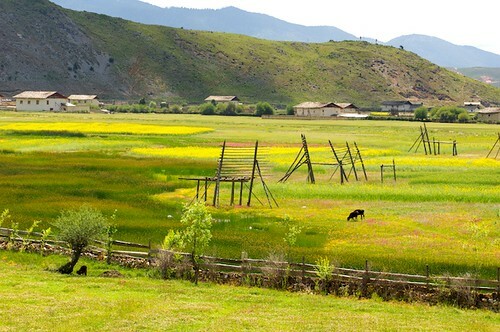 The lush fields of Shangri-La are used for growing barley and raising yak. A novice Tibetan monk peeks out from behind a giant thanka at the Ganden Sumtseling Monastery near Shangri-La (Zhongdian), China (Tibet). Zhongdian is the starting point for 4-wheel drive expeditions to Tibet. If you’d like an adventure, the 7 day journey sounds amazing. 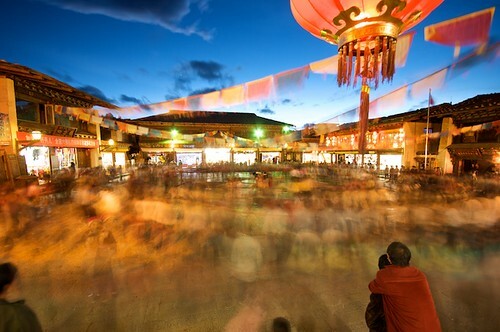 You could also fly to Lhasa from the town’s airport, there’s one flight a day in the high season. Check the Tibet Cafe & Inn for more details. **What most people now refer to as “Tibet” is actually the Tibet Autonomous Region or “Xijang.” The Kingdom of Tibet was actually almost three times the size of Xijang. 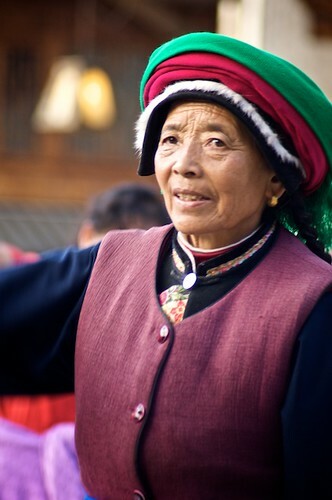 The Chinese divided Tibet into pieces and what was originally Tibet can now be found in the Chinese provinces of Yunnan, Sichuan, Qinhai, and Gansu. 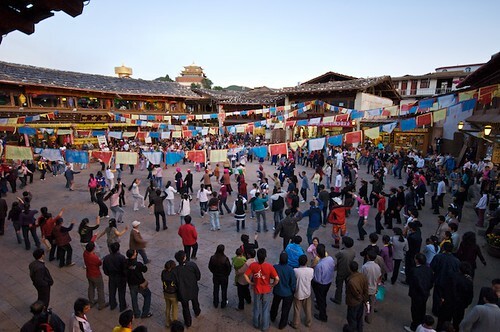 The funny thing is, that the Tibetans in these areas are often more free to to express their culture and religion than those found in Xijang, making these great areas to visit. Both times that I visited Zhongdian, I continued my journey by taking a two day bus ride to Litang in Sichuan Province to the north. 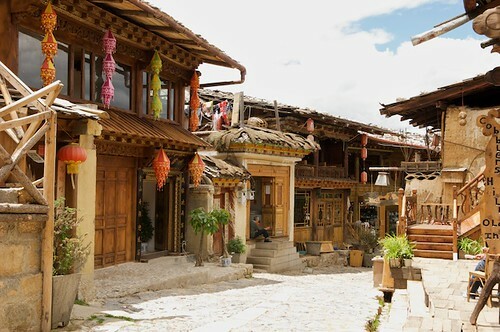 Litang is possibly my favorite town in all the world and will be the subject of the next post in this series. This post is the first in (hopefully) many on Tibet. Update: The next is on Litang. The rest can be found here. 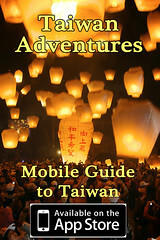 I’ve traveled extensively in the region, especially the areas now in Chinese provinces. I have an extensive collection of photographs and will try to bring you new posts as I have time in the future. 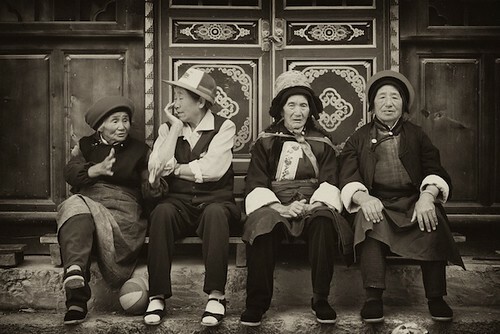 Until then, have a look over at my portfolio website for a Tibet Travel Gallery and a Tibet Portrait Gallery. Looks like an incredible place! Thanks for sharing! This is a cool place. I never made it that far east – just the Kathmandu-Lhasa stretch. Yet another place to add to my ever growing list of places to go. Yeah, it’s a nice place! If I continue this series to cover my entire last trip, it’ll cover 60% of historical Tibet, finishing with the jeep ride from Lhasa to Kathmandu. There are many towns and areas that I liked even more than this one, I just need to find the time to write about them! I’m looking forward to seeing more of this series. 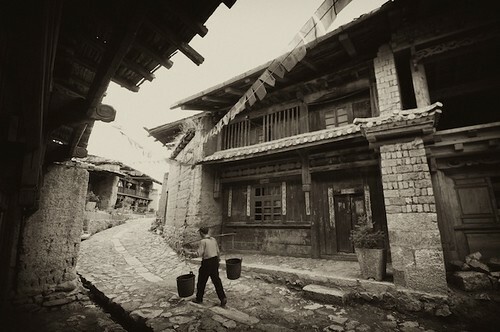 I’d love to get back to Tibet some time – when I was there in 2001, I had a film budget and could only shoot so much. The great trade off between buying more film or extending the travels. what a neat capture to catch that boy just peeking his head out like that. Awsome moment to get on film. Great work. I’m digging the colors of all these shots as well. Not too oversaturated, but have a nice look to them. Oh, looking your photos makes me feel desired to backpack there immediately. I wanna ride a horse in the lush field. Thanks so much for your sharing!